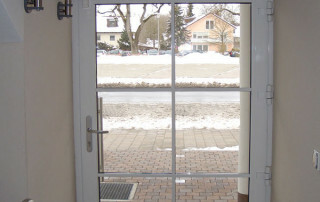 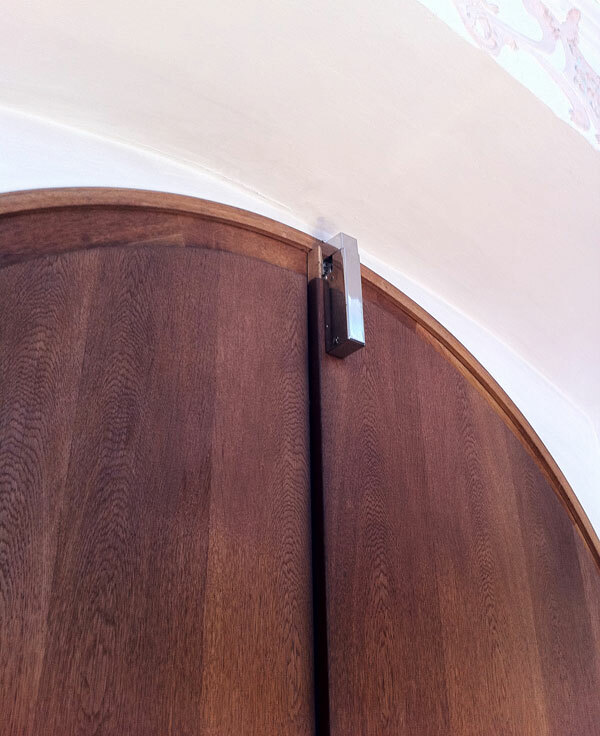 Dimension of X: With overlapping doors the included plastic spacers (2 mm, 3 mm and 10 mm thick) compensate for a height difference between door leaf and frame of up to 15 mm. 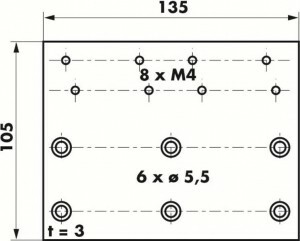 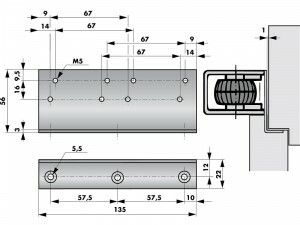 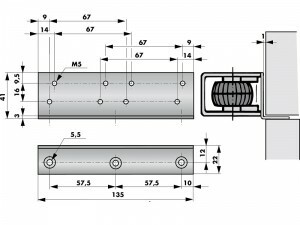 More information on the dimensions of all mounting plates and brackets can be found under ‘Installation accessories’. 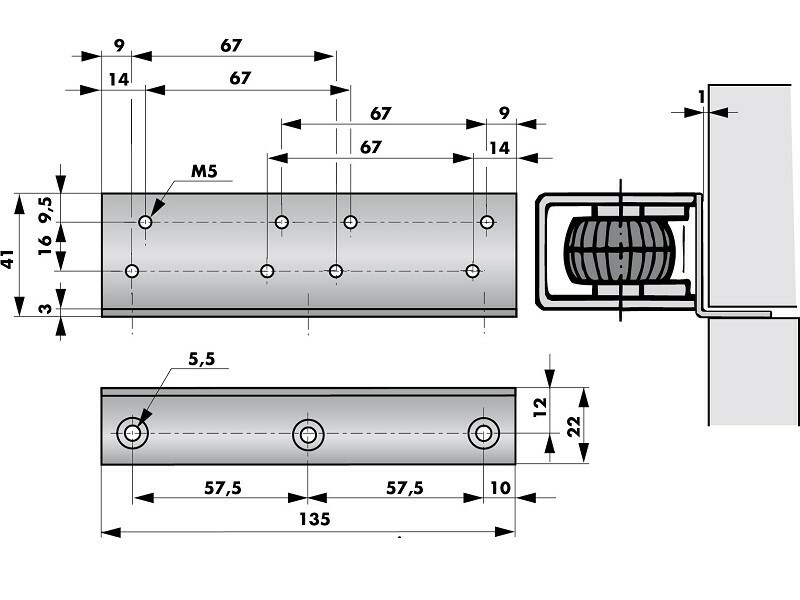 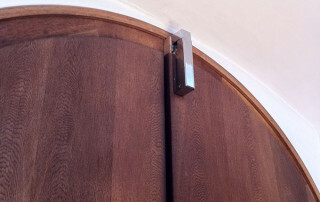 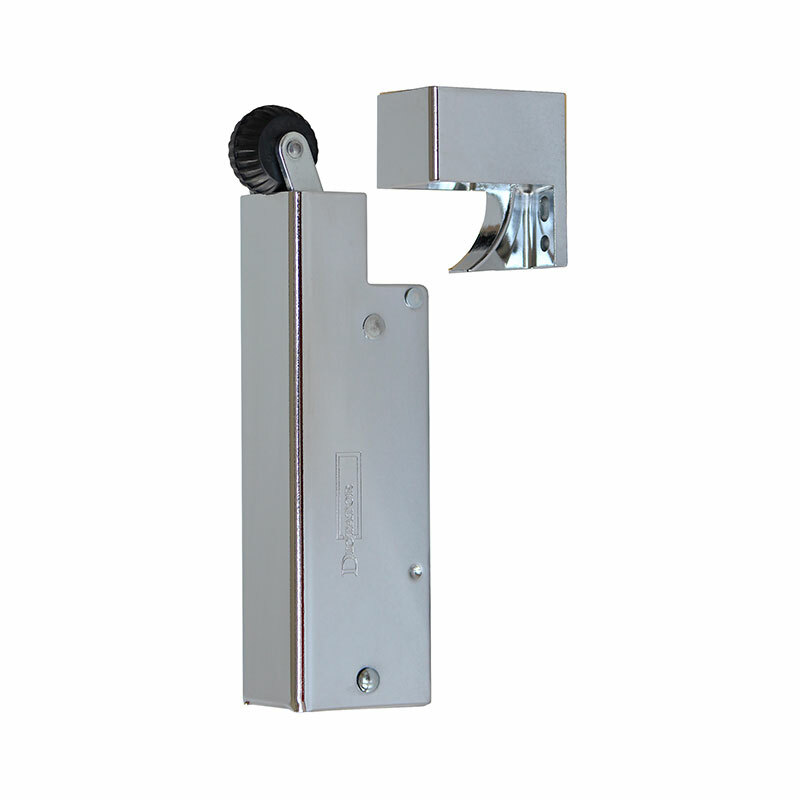 The DICTATOR VS 2000 door damper is vertically fixed on the door leaf by its pivoting base plate, usually in the centre of the upper door leaf. 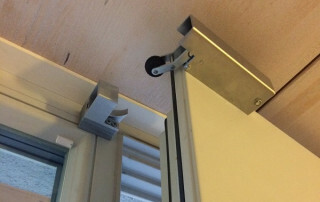 In case the door check is mounted right at the closing edge of the door, it’s better to choose a model with 20 N closing force. 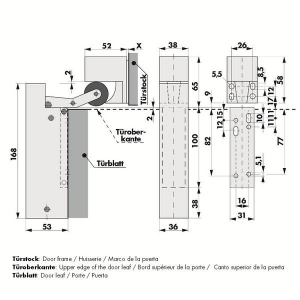 As a start, fold out the base plate, hold it vertically to approximately the center of the door and only fix the oblong hole in a way that the upper end of the base plate protrudes for about 2 mm the upper edge of the door leaf. 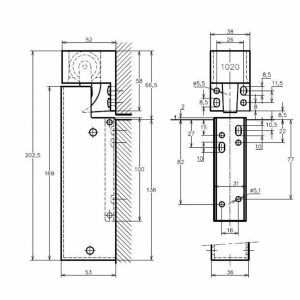 See the dimensioned drawing. 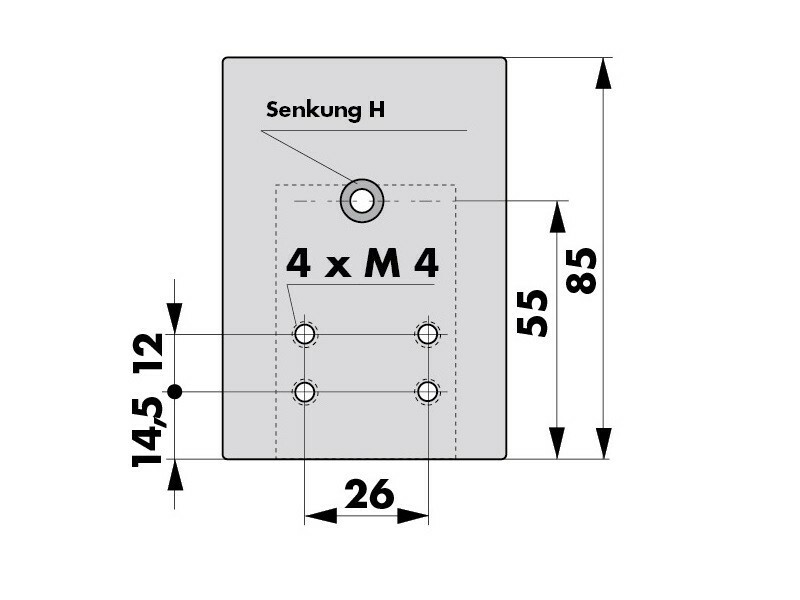 After having checked the vertical position, fix the base plate with the 4 screws Ø 4,5 x 19 and then pivot down the casing until it engages in the base plate. 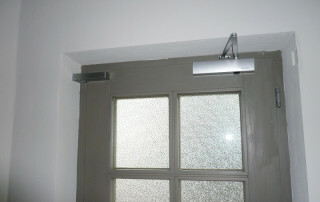 Now close the door and mark the outline of the casing on the frame to determine the lateral position of the hook. 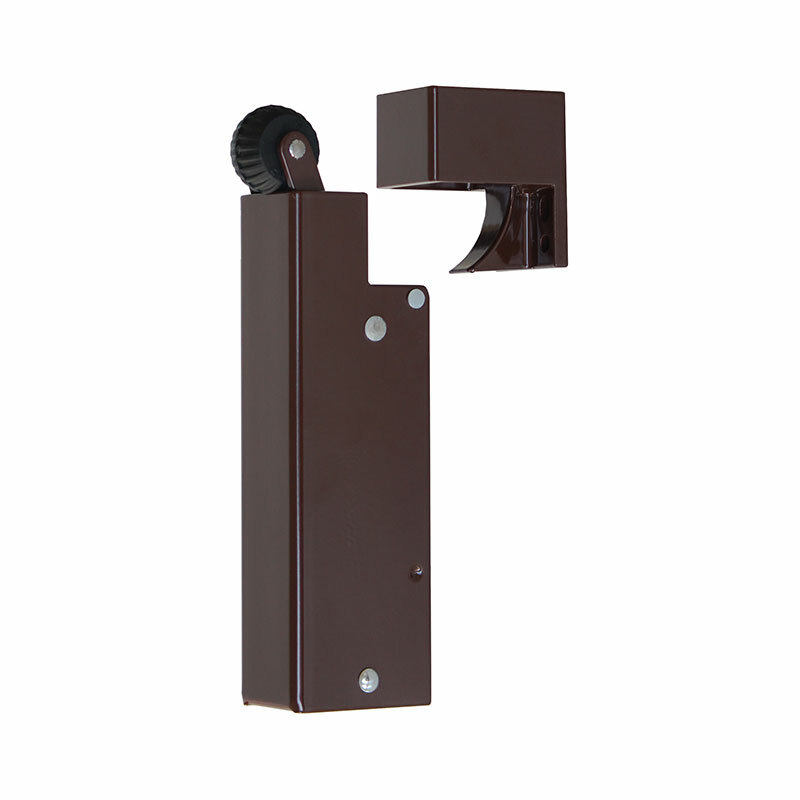 The hook is at the correct height when the rubber roller on the bent lever just touches the front edge of the hook when closing. 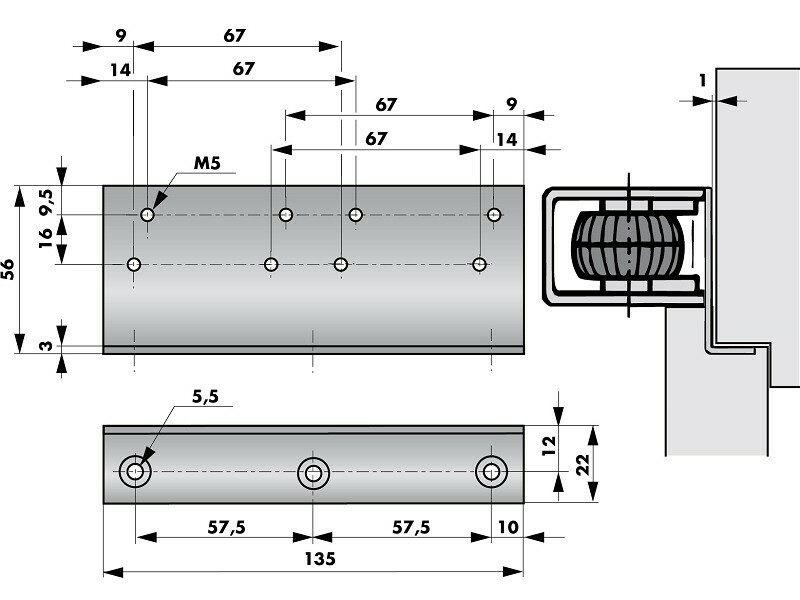 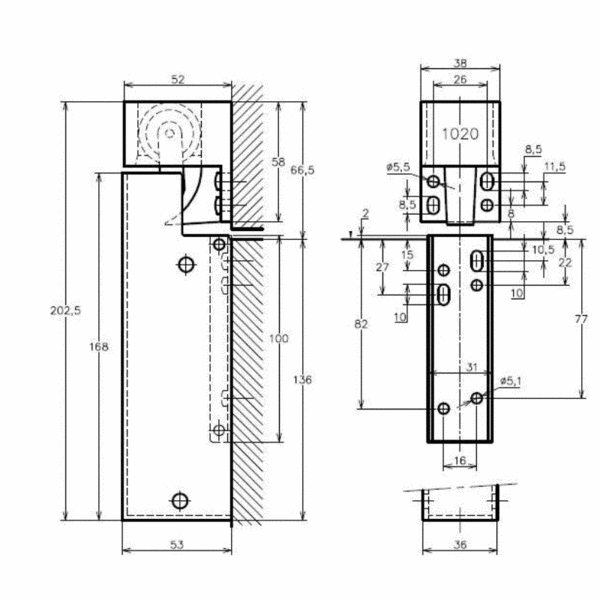 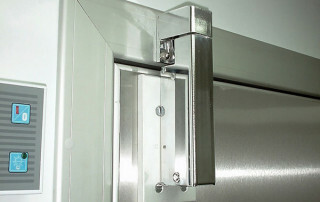 In case the VS 2000 door damper is fixed to thin-walled steel doors, the mounting plate part no. 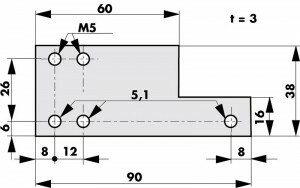 205212 should be used. 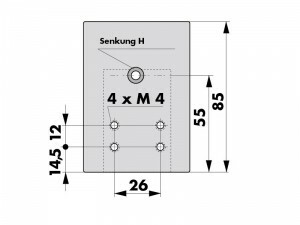 If you cannot use all 4 holes to fix the hook 1020 to the frame, there is mounting plate part no. 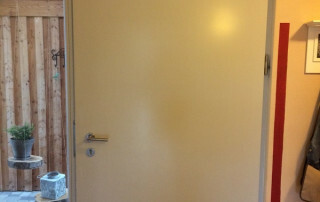 205232 available. In cases in which a vertical installation of the VS 2000 is not possible (e.g. 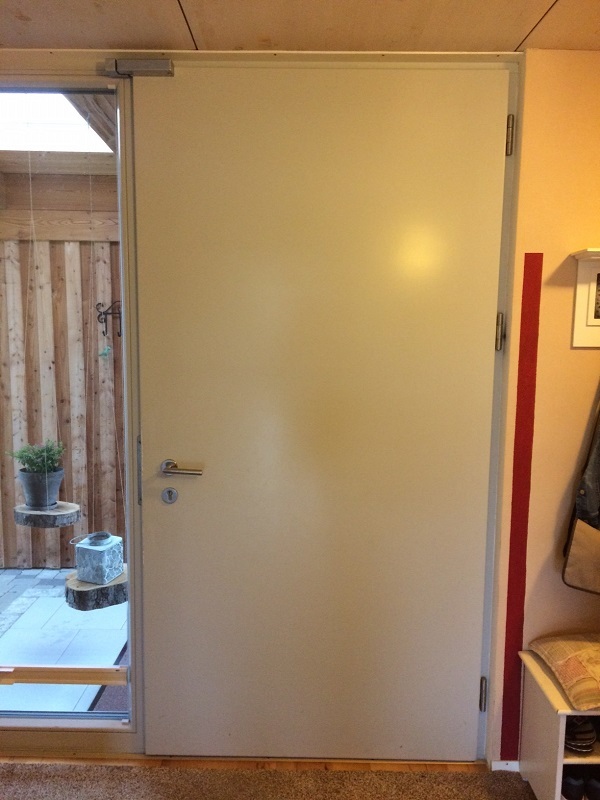 a door with a glass panel, lack of space for the hook above the door, etc.) 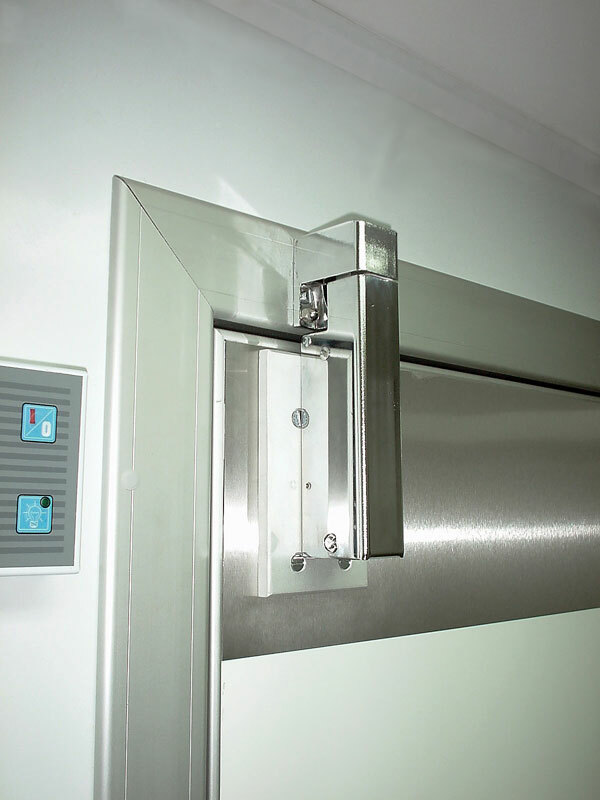 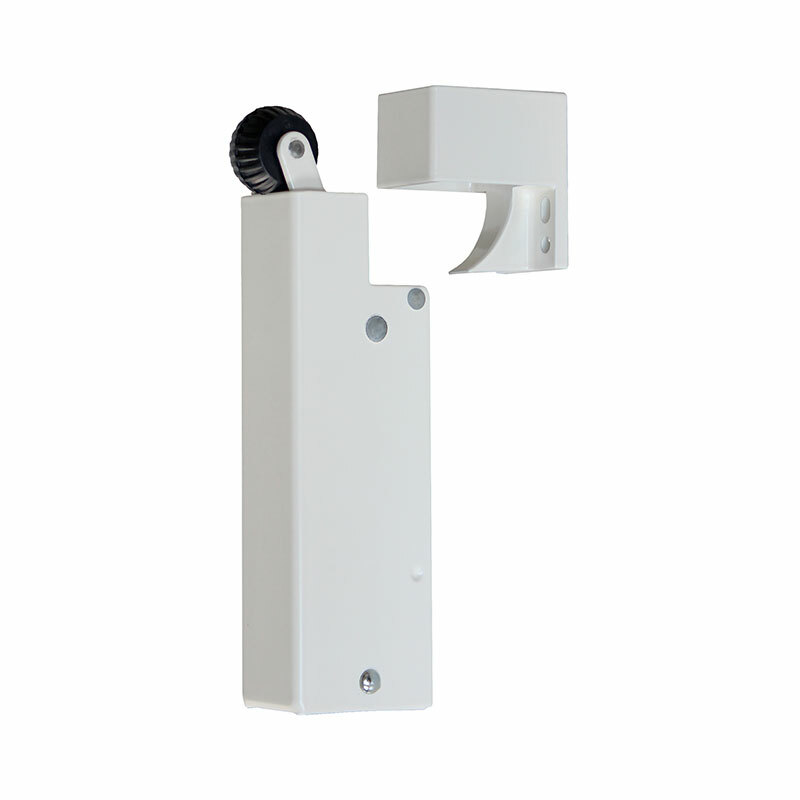 the VS 2000 door damper can also be mounted horizontally (when there is enough space for the hook on its side). For optical and safety reasons it should be fixed right at the top of the closing edge. The door damper and the hook have to be horizontally aligned. 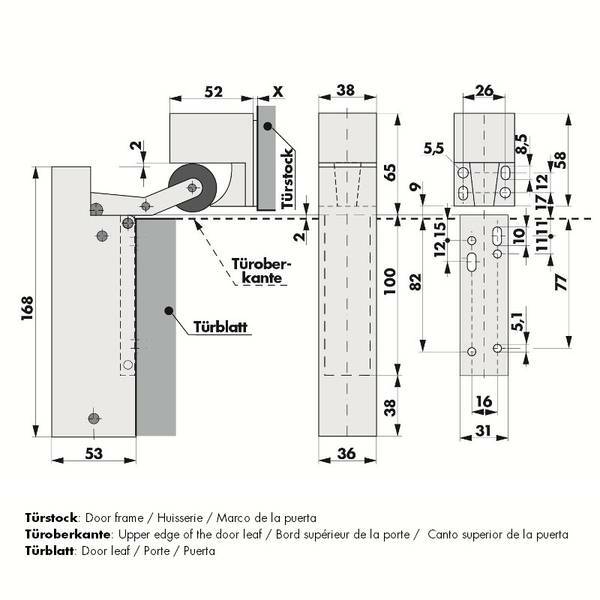 Important: Please take into consideration that the door damper works with its maximum force when mounted directly at the closing edge. 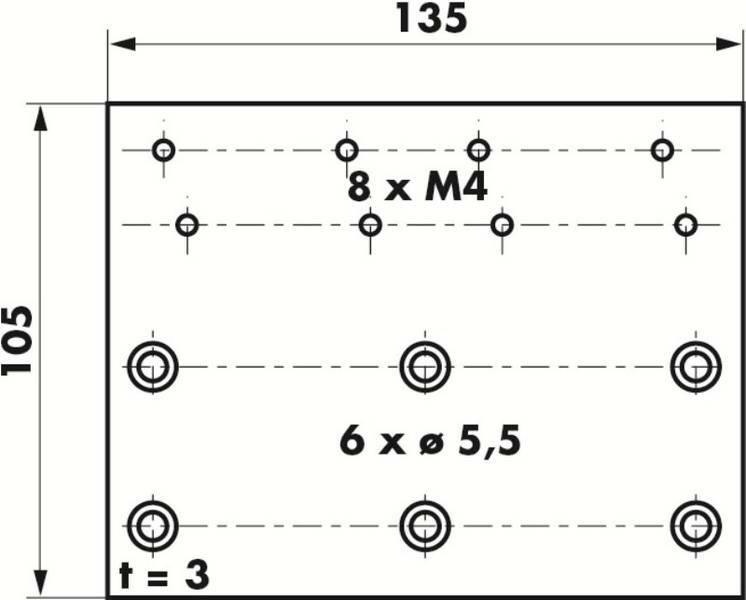 Especially for small children this could be too strong. 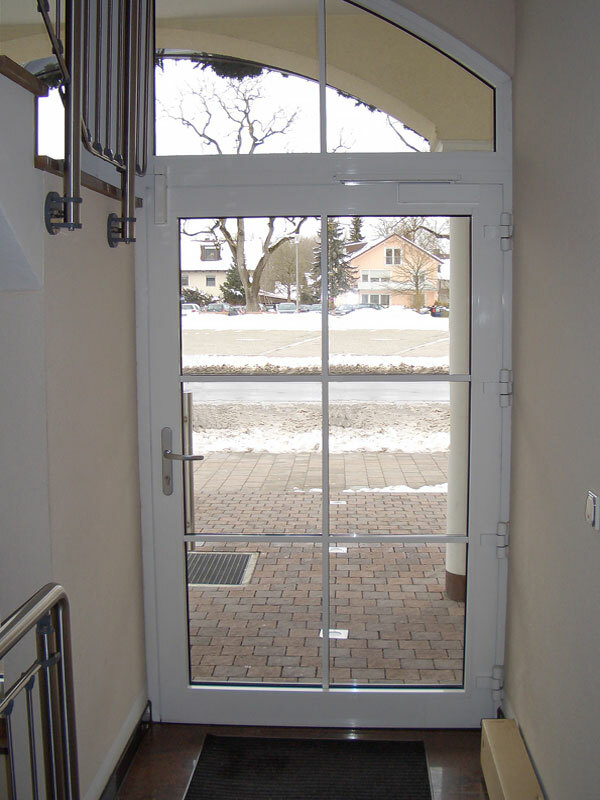 We would be happy to help you choose a model with the appropriate closing force. If you cannot use a mounting bracket, the mounting plate (part no. 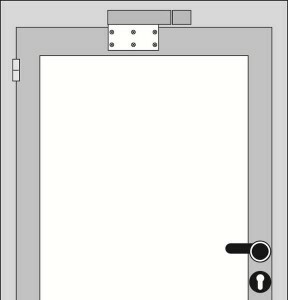 205279) is available. It is fixed to the door with screws or rivets in a way that the VS 2000 is positioned to the height of the frame. 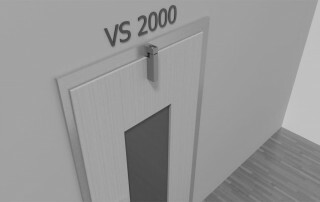 Then the hook is fixed on the same position as the VS 2000. 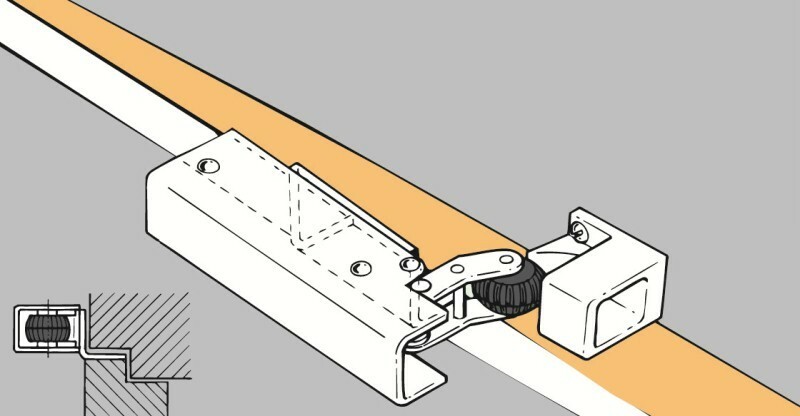 The hook is at the correct height when the rubber roller on the bent lever just touches the front edge of the hook when closing. 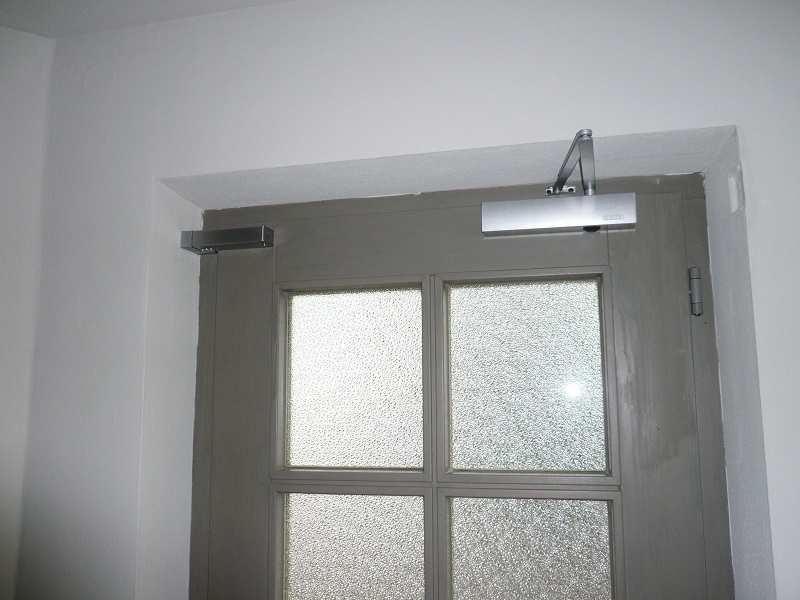 Important: With overlapping doors compensation plates must be used to make up for the height difference between body and hook and thus achieve the same level as the base plate of the door damper. 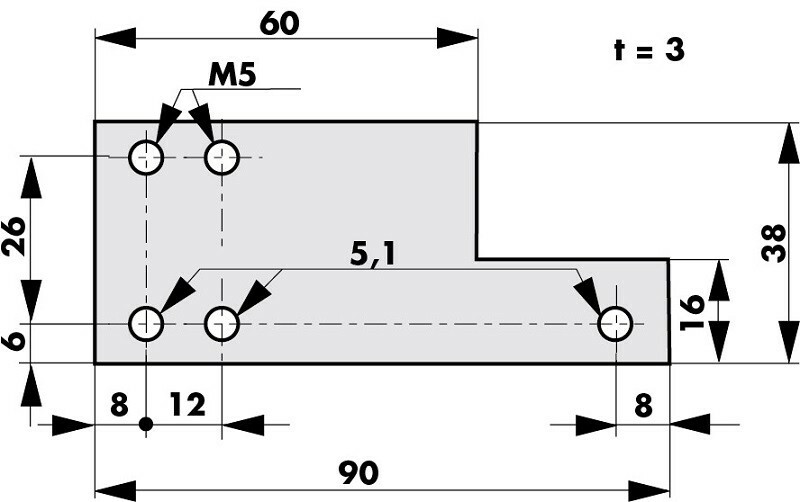 Information on the dimensions of all mounting plates and brackets can be found under ‘Installation accessories’.